I recently met a customer that had a very touching story about loss, healing, and helping others. She told me a story about how several years ago she lost her 22 year old son. I immediately thought of my mother, and just how devastated I know she would be if something ever happened to me or either of my sisters. I felt great empathy for this strong woman who told me that each day was difficult for her still. She further explained that the reason that she was calling was because she wanted to order memorial stones for a friend of hers who's husband had recently passed away. What I found really amazing was what she told me next. One year to the date, on the anniversary of her sons passing she woke up to a simple engraved memorial stone with her sons name on it. She was so very touched, and to this day she doesn't know who did that for her. I think it is amazing that in her own healing process, she is finding some comfort in being able to help others through theirs. Memorial stones can be simple or elaborate, but the comfort they bring from a touching gesture like this is always the same. Timeless. 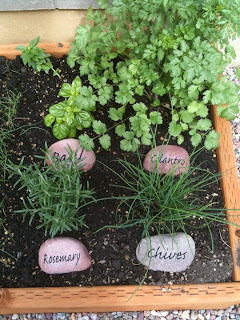 Personalized garden stones are an excellent way to label your herbs and vegetables. Spring is right around the corner and people are already preparing for the garden season! Every year, we pull the weeds, till the soil, and plant our favorite veggies. If you are like me, I really like to label my plants. I've tried a bunch of different types of markers, but nothing has compared to these personalized garden stones from Stone Creations Northwest. I have nine of them from last years garden. I recently weeded and tilled up our raised beds and decided to take inventory of my gardening supplies. I hadn't seen the stone markers since last summer, and I was very happy to see that they looked brand new! That is the beauty of natural stone engraving. They are not only functional in labeling your herbs and veggies, but also a timeless and natural fit to add something unique to your garden. 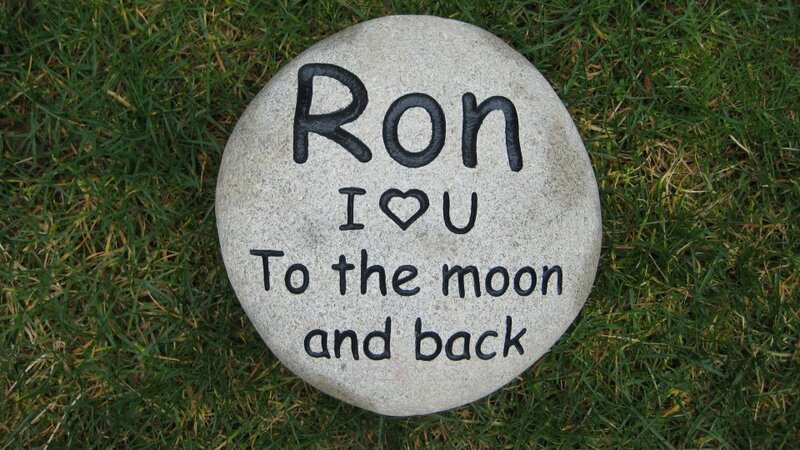 Personalized garden stones are your best choice for labeling your garden this year, and years to come!